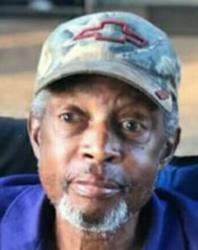 Mr. Clyde Jackson, 62, of Elizabethtown, KY, died on May 17, 2018 at VA Medical Center in Louisville, KY.
Mr. Jackson was a native of Fresno, CA and the son of the late Loudy Jackson and Sylvia Butler Jackson. He retired from the U. S. Army and was a member of the VFW and DAV. In addition to his father, he was preceded in death by two brothers, Roger Howard and Ronnie Jackson. Survivors include his mother, Sylvia Jackson of Fresno, CA; one daughter, Amanda Cuffee (Bernard, III) of Elizabethtown, KY; three sons, Antonio Jackson, Tyrone Glover and Pepe Glover all of Elizabethtown, KY; three brothers, Gary Cheryl, Louis Howard and Edward Howard all of Fresno, CA; three sisters, Darlene Demps, Rolene Hopkins and Amanda Brown all of Fresno, CA. Funeral service will be at 10:00 am on Tuesday, May 22, 2018 at Percell & Sons Funeral Home. Burial will follow at Kentucky Veterans Cemetery Central with military honors. Visitation is from 6:00 to 8:00 pm on Monday, May 21, 2018 at Percell & Sons Funeral Home. It saddens us to know you are mourning the loss of your loved one. May you find strength and comfort from the words of Psalms 34:18. It reads: “Jehovah is close to the brokenhearted; He saves those who are crushed in spirit." Our loving God is there for us if we ask for his help (1 John 5:14). He didn't intend for us to grow old and die. He thus has made the SURE promise of a resurrection RIGHT HERE ON EARTH when it is restored to a beautiful paradise (Psalms 37:9-11, 29; Acts 24:15; Isaiah 55;11). What a joy it will be to welcome back to life your loved ones who are asleep in death!! You can go online to JW.ORG and find out more about this resurrection.